Leading waste management specialist Cleansing Service Group (CSG) has become accredited to the Freight Operator Recognition Scheme (FORS) following a stringent audit. FORS aims to help commercial vehicle operators become safer, greener and more efficient by improving fleet activity in London and throughout the UK. Its members include many hundreds of the UK’s leading commercial vehicle fleet operators running well over 125,000 vehicles. 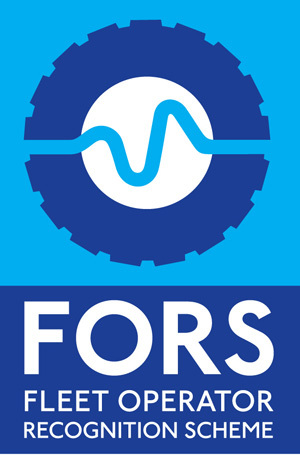 The FORS accreditation scheme is subsidised, voluntary and is open to any company operating a fleet of commercial vehicles. The organisation provides a quality performance benchmark and accredited companies also have access to a range of exclusive benefits including safety advice, fuel advice and performance management. Award-winning CSG, which has its headquarters in Fareham, Hampshire, has a fleet of almost 140 commercial vehicles and is the second largest privately-owned industrial and domestic environmental waste management group in Britain, operating from 24 sites stretching from Cornwall to Kent and up to Glasgow in Scotland.